By disregarding the resounding ‘No’ of the recent Greek referendum, Alexis Tsipras clearly violated democracy, said the former Italian premier, Mario Monti. At the annual State of Europe event organised on Thursday (22 October) in Brussels by Friends of Europe, Zoe Konstantopoulou, the former speaker of the Greek Parliament, strongly criticized the EU institutions for the unfolding humanitarian crisis in Greece. “Would you trust the EU if they told you that your vote or the court decisions in your countries do not matter?”, Konstantopoulou wondered. Zoe Konstantopoulou served as a speaker of the Greek parliament under the first term of Syriza coalition government and was a close ally of the Greek premier, Alexis Tsipras. But shortly after the deal agreed on between Athens and its international creditors this summer, Konstantopoulou resigned from Syriza, and joined the newly established leftist Popular Unity party led by former energy minister Panagiotis Lafazanis. In the recent snap election in Athens, Popular Unity did not manage to enter the Greek parliament, scoring below the required 3% threshold. Konstantopoulou and Monti had a vivid dialogue during the panel discussion. The former Greek lawmaker was quite critical of the EU, and said that at times when the democratic principles of the EU are shaken, “it is our duty to speak clearly and honestly”. “Europe has steadily departed from its principal founding goals, democracy, human rights and freedoms and the prosperity of its people and its societies,” she stressed. “And it was baptised as public, although it was initially private, involving private banks in Germany, France and Greece,” she added. Regarding the referendum on 25 June 2015, in which 62% of Greeks rejected the austerity-driven bailout agreement proposed by the European Commission, the IMF and the European Central Bank, she said that it took place under suffocation. “The referendum took place in a week where the banks were closed, in the same way as Cyprus was asked in 2013”, she underlined, referring to the bank deposits haircut in Nicosia. Konstantopoulou also accused the executive of intervening in the Greek referendum. “Several EU officials and from the Commission, addressed threats to the population regarding the outcome of the referendum like a humanitarian disaster would hit the country if no prevailed,” she said. “For Europe to regain public trust, it needs to regain its democratic soul,” Konstantopoulou stressed. Commenting on Konstantopoulou’s speech, Mario Monti, a former European Commissioner and former prime minister of Italy from 2011 to 2013 , said that it was not right to put the blame only on the EU. “It would help if you could also consider that much of this debt was created simply by the Greeks, as it was by the Italians. It’s not very helpful to blame just the rest of Europe,” he said replying to Konstantopoulou. “You have had very bad governments on the right and on the left for decades that caused huge damage. Itt was actually your basis for your resounding victory in January,” he underlined, adding that it was morally difficult to put on the shoulders of Europe the whole blame. He admitted that many mistakes had been made by the Troika, “which should have not existed to begin with, had Germany not had so little confidence in the capacity of the European Commission to implement enforcing and felt it was necessary to turn to the IMF,” he said. 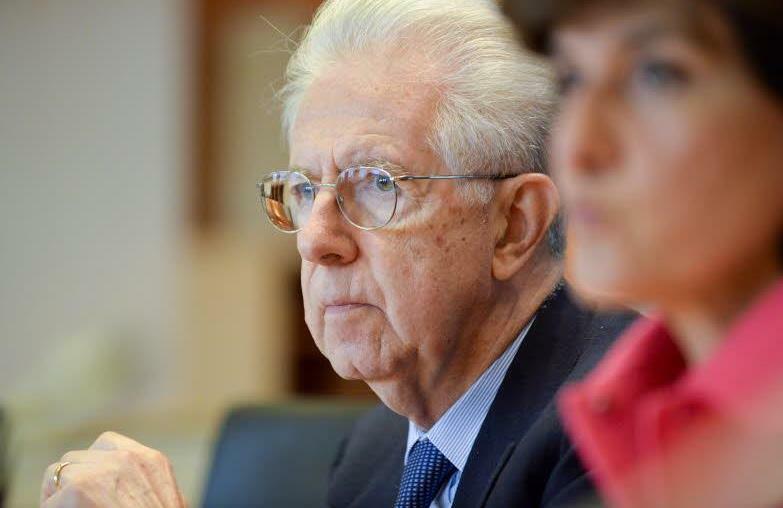 Referring to the Greek referendum, Monti made clear that it was a violation of democracy. “They want Greece to stay in the euro and all the governments know that they will lose if they try to get Greece out of the euro,” he said. “In Italy, which has suffered less, there are growing voices against the euro,” he concluded. Reporting on my intervention at Friend of Europe’s “State of Europe” conference held in Brussels on 22 October, EURACTIV (23 October) has correctly used the headline “Monti: Ignoring the Greek referendum was a violation of democracy.” However, I did not say, as reported in the text, that “by disregarding the resounding ‘No’ of the recent Greek referendum,Europe clearly violated democracy”. I said that rather it was Prime Minister Tsipras who “violated democracy”, as he pleaded for the ‘No’ to the acceptance of a draft agreement between Greece and its creditors and yet, just after the referendum, returned to the negotiating table and finally accepted heavier conditions than those he had recommended Greek citizens should reject. I also said that, apart form this deviation from democracy due to Mr Tsipras, not to Europe, the final outcome was in my opinion better, both for Greece and the EU, than an exit of Greece from the euro. Varoufakis believed that 20th century capitalism came to an end in the ’08 crisis but continues because no alternative has stepped up. Greece’s task was to be the catalyst for such a change, but having failed in this, capitalism, in the form of the creditors, will continue to trash the Greek economy and tear it apart, destroying the country in retribution for it’s resistance, untill a second crisis finishes the job that the ’08 crisis couldn’t; and end the stockmarket driven capitalism of today to deliver a new system of global governance. Nothing else will save this country. Now the same thing is happening in Portugal. Democracy is dead …….. All Hail the EU…..
Well let’s be honest – the entire EU project is about subverting democratic choice anyway, handing control to a bunch of pseudo-elected (selected) technocrats who follow their own agenda irrespective of what is best for the general citizenry.